Pilgrim Church is located at 24 Athens Street, just off of Bridge Street (3A), in North Weymouth. There is a parking lot and the building is accessible via an elevator and ramps. Worship and children's religious education take place Sunday mornings Sept-June from 10:00-11:00 and we offer snacks and conversation during 'coffee hour' at 11:00. Since 1852, Pilgrim has offered a beautiful and peaceful sanctuary to all who wish to attend. No matter who you are or where you are on life's journey, you are welcome here! Rev. Kate McCann grew up in Weymouth and has lived most of here life here. 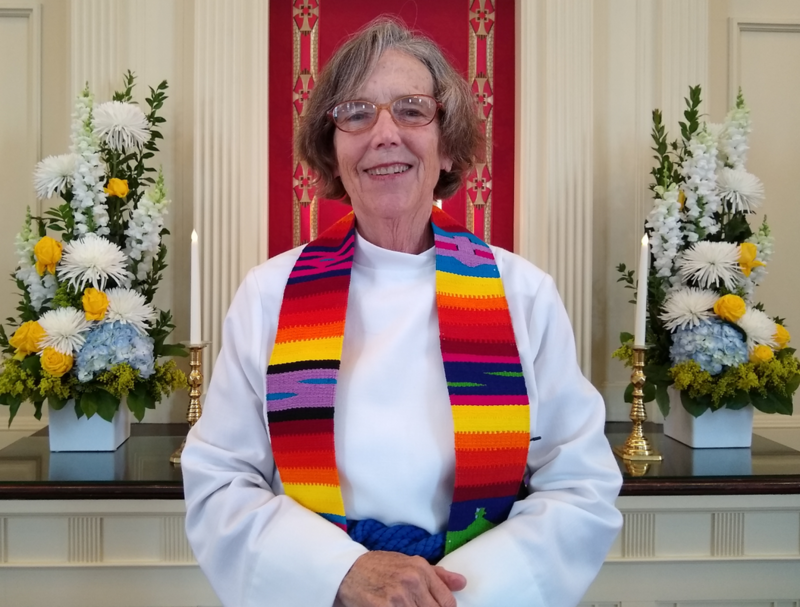 She was ordained in 2000 and began ministry in a rural church in Missouri. Rev. McCann is very excited and thankful to have been called to serve Pilgrim Congregational Church as Pastor and Teacher. Danielle Cope-Sullivan is a longtime member of Pilgrim Congregational Church. Danielle is certified in CPR and has been teaching Sunday School for 14 years. Her teaching approach combines lessons, games and interaction. Being a mother, Danielle understands children learn in many ways! She also serves on the Church Council. Taylor Kirkwood, graduate of Umass Dartmouth, has worked with the 20cent Fiction theatre company, and Stoneham theatre as well as Artbarn. An active musician in the Boston area, Taylor enjoys working with adults and children, composing new pieces, accompanying singers, teaching, and collaborating with local composers/artists.